I don't feel like I have been gone for so long but obviously I have because I suddenly realized that there are a lot of new and exciting restaurants in LB. I tried to try them all! I gained almost 3 kilos in 2 weeks of trying! I could only do so many many, I still have to enjoy my mom's cooking after all. 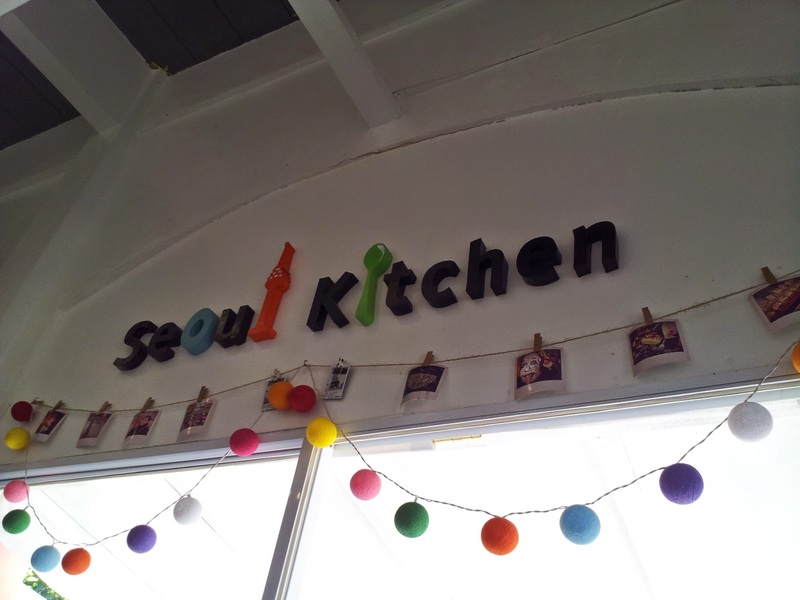 Our first stop is Seoul Kitchen. This place is on F.O. Santos street in Umali Subdivision, Los Banos. 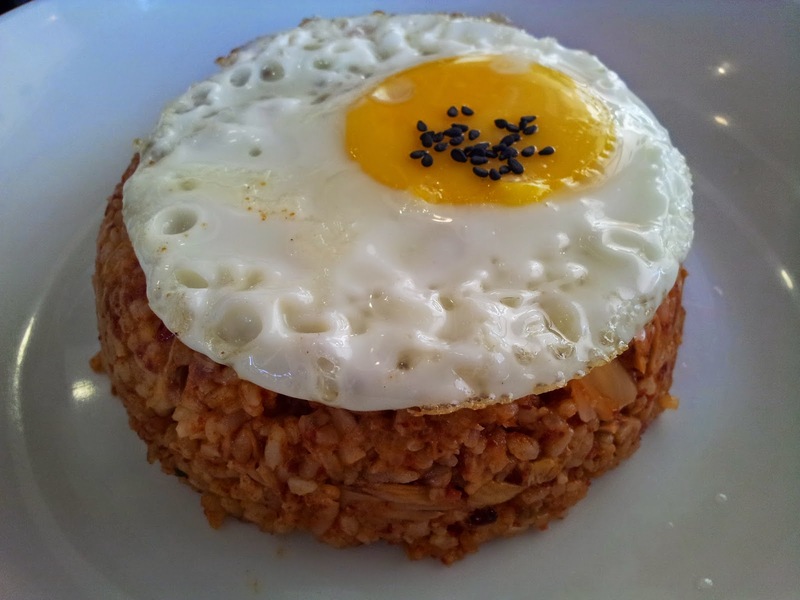 This is one of the many Korean restaurants that popped up in UPLB in recent years. There is a big Korean explosion in the Philippines and in LB. I don't know if I got used to big servings in Europe but I found the servings too small. 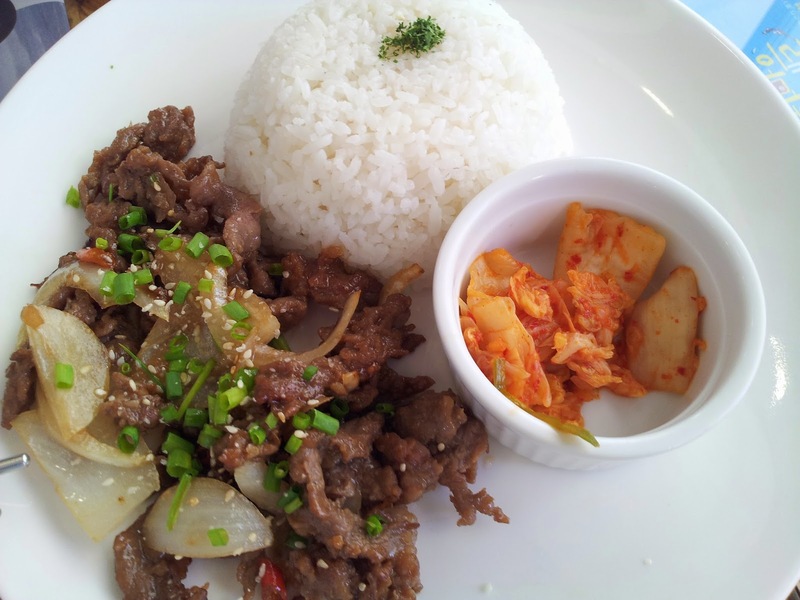 I had a kimchi rice, my mom got a japchae and my husband had a spicy beef bulgogi. It's all good but I was still hungry after.